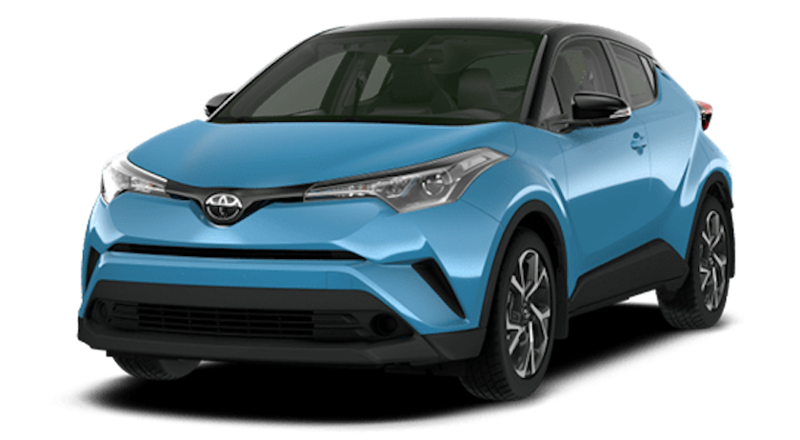 The 2019 Toyota C-HR is a great choice for anyone looking for a sensible ride. It’s both modern and functional, which is great for soccer moms, bachelors, teenagers, and anyone in between. If you’re looking to save money on a monthly payment while driving a reliable vehicle it’s time to check out the 2019 Toyota C-HR. You’ll be amazed by the sheer amount of safety and technology features that are seamlessly integrated into this vehicle. One of the greatest aspects is the fact that it won’t cost you an arm and a leg each month. In fact, the MSRP is $20,945, which is excellent in comparison with other comparable vehicles. If you’re looking for a vehicle that will redefine your expectations, you’ll love the 2019 Toyota C-HR. We all know that money can be tight, especially with the financial demands that are placed upon us each and every day. To that end, you’re going to want to ensure that you’re committing to a vehicle that won’t break the bank. That being said, the 2019 Toyota C-HR is everything that you’re looking for. You’ll be able to take this vehicle home for the low bottom line price of $20,945. With the 2019 Toyota C-HR, you’ll be able to spend more money on what truly matters, and waste less on a monthly car payment. If you’re looking for a vehicle that is worth every penny and then some, it’s time to check out the 2019 Toyota C-HR. The 2019 Toyota C-HR is extremely safe, which is a major selling point for those who are looking for a new vehicle that will be a part of their family for years to come. If you need tangible proof, the fact that the NHTSA rated the 2019 Toyota C-HR with a five-star Crash Test Safety Rating score should do the trick. This means that your vehicle will be able to keep you and your loved ones safe in the event of an emergency on the roads. The 2019 Toyota C-HR continues to provide safety to its’ passengers with a variety of safety features. Some of the most impactful safety features are: Toyota Safety Sense, Star Safety System, Blind Spot Monitor, Rear Cross-Traffic Alert, and more. If you’re in the market for a vehicle that will be able to keep you safe on the unpredictable roads, you’ll love the 2019 Toyota C-HR. If you’re a tech nerd, you’re probably wondering what kind of connectivity features are included on the 2019 Toyota C-HR. For starters, you’ll be constantly connected through the Standard 8-inch audio display, which allows you to control your Entune 3.0 App Suite and your Apple CarPlay, among others. There are countless other connectivity features which will completely revolutionize the way that you drive forever. If you’re ready to step into 2019, so are we. It’s time to check out the 2019 Toyota C-HR. You’ll be glad that you did. The 2019 Toyota C-HR is the complete package due to the fact that it has everything that you’re looking for. Whether you’re looking for a vehicle with exceptional safety ratings, or you’re looking for a vehicle that is powerful and efficient, you’ll find it in the 2019 Toyota C-HR. Comparable vehicles are considerably more expensive to own, so why pay more when you can pay less for the 2019 Toyota C-HR? This vehicle has a plethora of both safety, connectivity, and power features that will be sure to impress even the biggest skeptics. Ready to commit to something new? Check out the 2019 Toyota C-HR. Of course, the MSRP will vary depending on the trim that you select for the C-HR. It’s important to understand the differences in price and how that will affect the monthly payment prior to committing to a vehicle. If you’re interested in the LE model, you’ll pay $20,945 at the bottom line. If you’re interested in the next step up, which is the XLE, you’ll pay $22,980. Finally, if you’re looking for the most luxury that the 2019 Toyota C-HR can provide, you’ll want to purchase the Limited trim. This trim will run you $26,000. With each trim, the specifics specs and features will vary slightly. If you’re unsure of which trim will best suit your life and needs, it may be time to test drive one today! You’ll be sure to know which one will be the best fit for you once you get in that driver’s seat. As you can see, based on the aforementioned list, the 2019 Toyota C-HR has everything that you’re looking for when it comes to safety. Whether you’re interested in technologies such as the Blind Spot Monitor or you’re thankful for the High-tensile steel materials, you’ll love the 2019 Toyota C-HR. Customers enjoy the fact that they can drive with the peace of mind of knowing that they are going to safely arrive at their destination. If you’re looking to redefine your set safety expectations it’s time to check out the 2019 Toyota C-HR. Safety is not a category in which you’ll want to cut corners. In fact, safety is arguably one of the most important features when it comes to purchasing a vehicle. 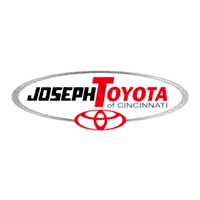 Joseph Toyota should be your go-to dealer for vehicles in the Cincinnati, Ohio area. If it isn't it yet, allow us to share why Joseph Toyota is absolutely changing the car-buying game forever. First of all, you won’t feel like you’re a customer when you walk through the doors. Conversely, you’ll feel like you are a part of the Joseph Toyota family. This is something that they aim to do with each and every customer, as a way to revolutionize the way that individuals think and feel about the entire car-buying process. If you’re someone who is tired of being hassled by car dealership employees, give Joseph Toyota a try. You’ll be amazed to experience the difference between Joseph and other dealerships. Furthermore, as if you needed another reason to shop with Joseph, you’ll find an outstanding selection of vehicles for sale. You’ll find everything that you’re looking for at prices that will truly excite you. You won’t have to worry about falling in love with a vehicle that is way out of your budget due to the fact that Joseph Toyota is constantly running specials and deals to keep the prices low. If you’re looking for a 2019 Toyota C-HR, there’s only one place to shop for one! Check out Joseph Toyota in Cincinnati, Ohio. You’ll be glad that you did.